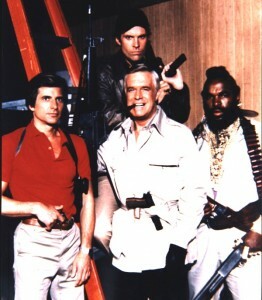 What If… The A Team Was Cast With Football Stars? Now that’s an A Team movie I would pay to watch. Face: Handsome chap, doesn’t seem to do a lot… Davids Bentley or Beckham anyone? CRAZY! This EXACT SAME SCENARIO was on the Football Ramble a couple weeks ago. Funny how that works. Great minds etc etc. I always listen to the ‘normal’ Ramble, but didn’t hear that 442 one. Football Ramble did it better. Instead of doing this whole page…you could’ve just redirected people to the Football Ramble web-site. It would’ve saved you a load of typing! !